How many Spinal Decompression Therapy sessions will be needed and are they painful? The number of sessions needed and your specific treatment plan will be determined by the doctor after your examination. It can range from 10 to 20 depending on your diagnosis. 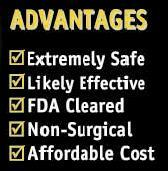 In almost all cases, the treatments are completely painless. In fact, with our advanced chiropractic spinal decompression equipment, some patients fall asleep during the spinal decompression session. What type of Spinal Decompression equipment is used, and is the doctor certified in Chiropractic Spinal Decompression Therapy? 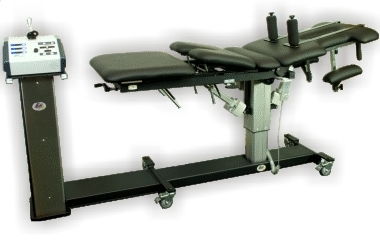 After a significant amount of research, Optimal Health Center chose what we believe to be the most sophisticated, technologically advanced, state-of-the-art spinal decompression equipment in the world, the Kennedy Neural-Flex Spinal Decompression Table.It is the only table allowing patients to be comfortably treated either in the supine (belly up) or prone position (belly down) depending on diagnosis. Doctor skill combined with the table and computerized components are the keys. Proper assessment, correct positioning and the use of preprogrammed patterns of distraction and relaxation may reduce disc pressure allowing necessary nutrients to enliven and accelerate disc healing. These conditions include herniated, protruding or bulging discs, spinal stenosis, sciatica or even failed surgery. Spinal Decompression Therapy has saved many people from spinal surgery. According to a recent study in the Journal of the American Medical Association, surgery is no more effective than non-invasive treatments, including chiropractic care, for patients with lumbar disc herniation causing sciatica. Spinal decompression (neck decompression and low back decompression) is extremely safe, FDA cleared, affordable, and very effective for many conditions such as back, neck, arm, and leg pain. Request an appointment online or just call our office at (215) 493-4463 to arrange a consultation with the doctor.